Helen (68) was one of a group of 21 people from the Bray area who cycled the length of the Canal du Midi in France from Toulouse to Sete, all for Purple House Cancer Support. Many of those were first-time cyclists and the majority had a personal reason for taking part. Helen, a former resident of Bray, travelled out from Killiney on her bike to take part in weekly training sessions in preparation for the expedition. She lived on the seafront in Bray when first married, right beside Cassoni’s. Helen and her sister Pauline were very close. When Pauline was diagnosed with bowel cancer, they turned to Purple House. ‘I met Brendan and Conor and asked what I would have to do. They asked me if I cycled. The girls also had two brothers. Helen was 12 years Pauline’s senior, so it wasn’t until later on when Pauline herself grew up and got married that they started to get closer and closer. ‘She came to live with me in the end,’ said Helen. As did Pauline’s devoted husband Alan, who gave up his job to look after his wife. Helen and her husband have two grown sons, also heartbroken by the loss of their aunt. They helped in their way with Pauline’s care, one a reiki master and the other an advanced paramedic. They all really stuck together throughout Pauline’s illness and since her death at the age of 55. Her anniversary fell on November 10, and things felt very final for Helen, who misses ‘Polly’ so much. When training for her cycle in France, Helen saw a rainbow come out on her return journey on a number of Tuesday evenings, and felt that was her sister making her presence felt. One of the women on the cycle, as it turned out, knew Helen’s sister and recognised her from the T-shirt she wore in France. The challenge, for Helen, was meant to be. Prior to the route in France, it was Helen’s habit to cycle about 20 km in an hour or so. Then as training went on, she covered more and more distance, until doing 250 km in a foreign country and at the age of 68. She raised €3,500 for Purple House in sponsorship for the cycle. Brendan and Conor from Purple House, and Eamon and Liz from Bray Wheelers went on the training spins, and ensured that their proteges would be safe and well looked after on the road. During training, Helen would go from her house in Killiney to Mount Usher and back, stopping of course for coffee and cake! She was also out on her own every day, building up her fitness. She agrees that cycling can be good therapy. You need to concentrate on the road, so your worries must take second place. The day they finished, Helen called home, and her nearest and dearest were on the other end of the phone screaming with joy and pride. She wears something belonging to Pauline every day, to always feel close to her and remember her sister. She will never forget the cycle either, and the 60 km a day she spent on the bike. 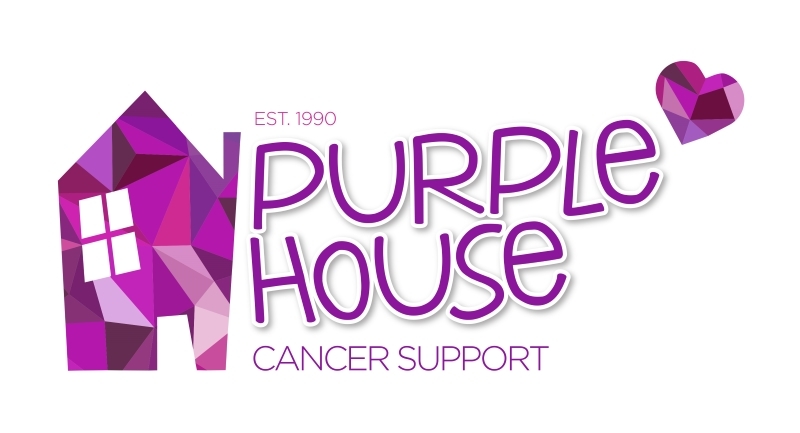 To find out more about their services, or to seek help, visit them online at purplehouse.ie.